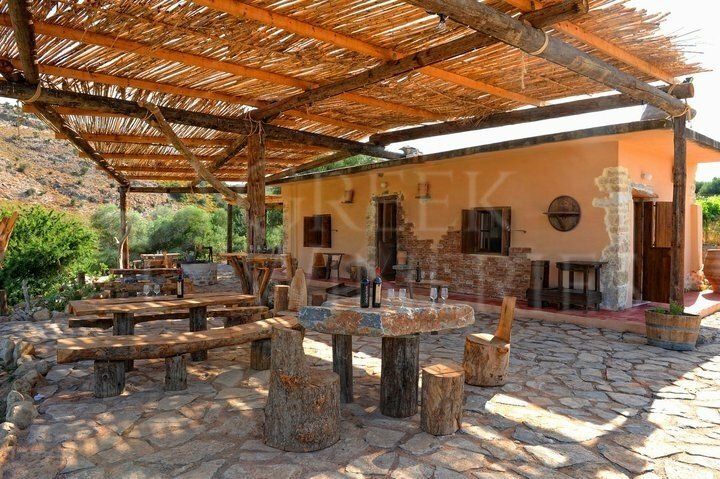 The Miliaraki Winery has created a really special wine tasting venue in Peza. At the entrance of the winery the visitor is welcomed by a pre-war bicycle, once used for the wine distributions in the city of Heraklion, and a historic generator, Blackstone, the first to arrive in the village of Peza to produce a stream for the winery and supply half the village. 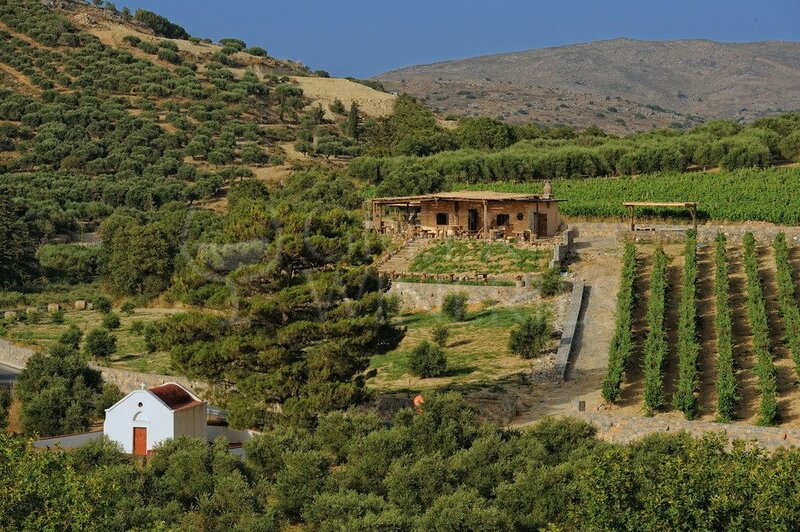 The reconstruction of the old winery created four accessible levels with a total area of 900 square meters, named after "Sifis Miliarakis", the son of Nikos Miliarakis, a dynamic representative of the third generation of the family. -A museum space, with old machines involved in the winemaking process: rotary pumps, pumps, manual bottling machines and a traditional stone-built wine press. In the same area you can admire the historical photos of the winery, where among other things you will see the Apollo spacecraft's astronauts with MINOS wines! -A large projection room with seats from the old cinema Astoria of Heraklion, where guests can watch a short film about the Cretan history of wine, olive oil and tsikoudia, and the long history of MINOS Company. -A large wine tasting room with traditional furniture. In this area, the visitor can experience the rich and interesting range of wines, learn about their characteristics and ask anything about wine. In 2009, a second wine tasting room was established with handmade tables made from the old machines of the winery and a second projection room, which operates autonomously from other visiting facilities. 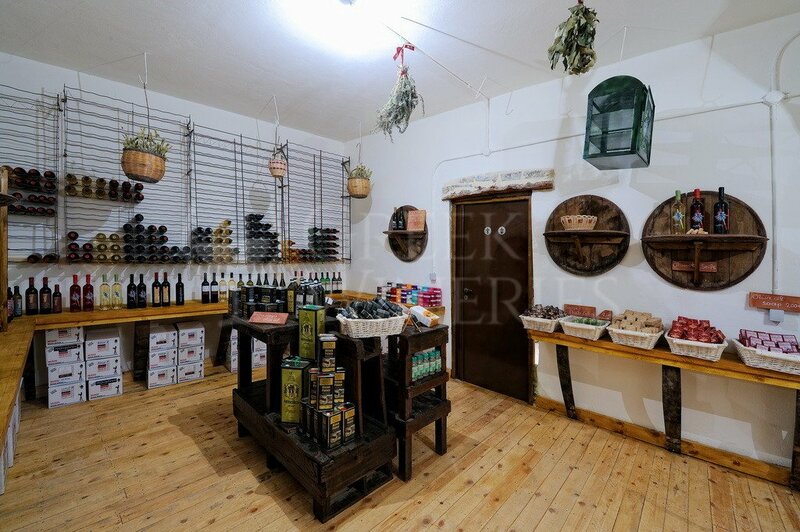 -The shop, a retail space, where the visitor can buy wine and quality selected traditionally Cretan products such as olive oil, spices, honey and herbs. 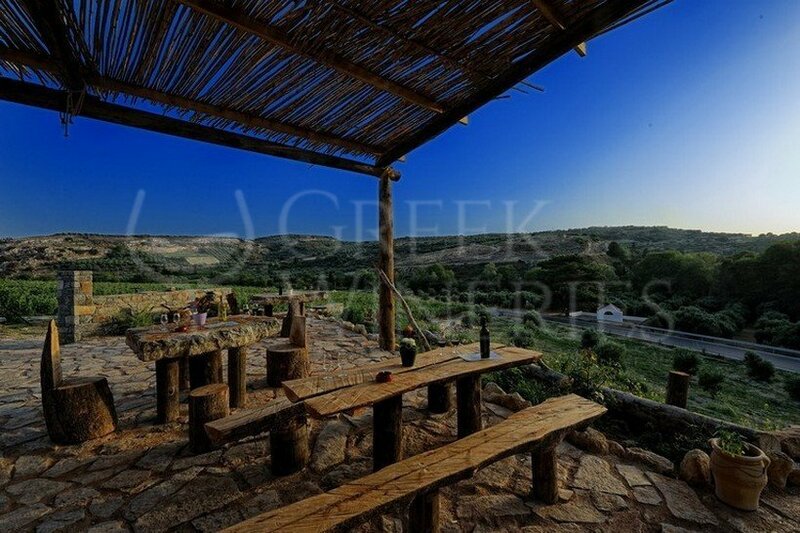 Metochi Miliaraki, just 10 minutes from Miliaraki winery, is a beautiful location full of vineyards, welcoming its wine and nature lovers to live a unique experience of wine tasting and relaxation. 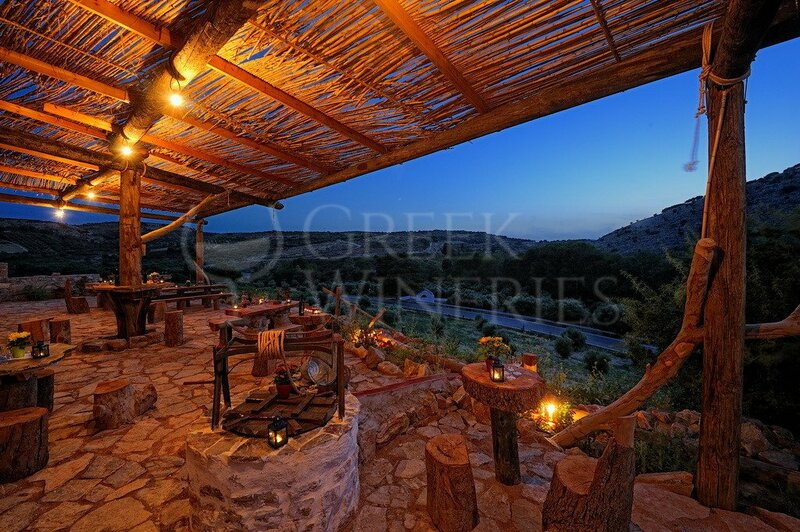 The visitors can enjoy wine with extraordinary Cretan cheese. The visitors can also explore the vineyard, hiking in the nearby forest where the Byzantine church of Agios Mamas is located. If the visitors are properly equipped, they can also try downhill in the two neighboring gorges. Finally, keep in mind that in Metohi, there is a fully organized shop. 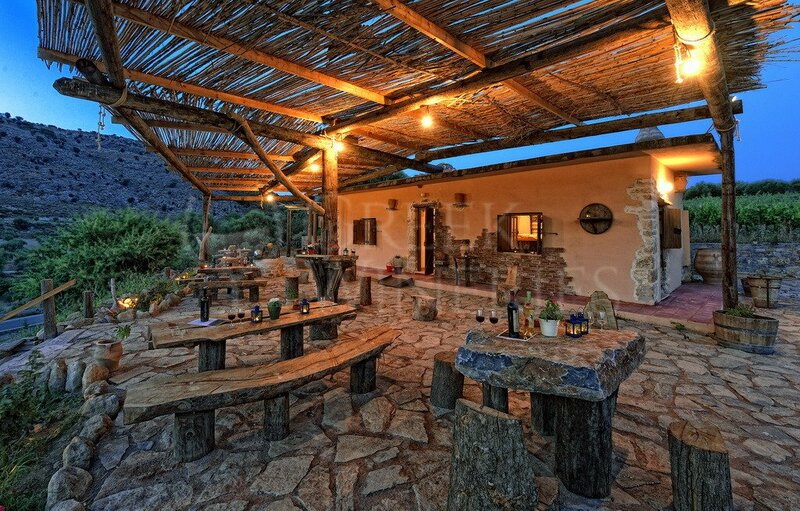 The visitors can buy the local wines, pure virgin olive oil, Cretan honey, aromatic plants, soaps and cosmetics based on olive oil.